This Article seeks to examine the nuisance of noise being inflicted on most Ghanaians by the two main religions, Islam and Christianity and others businesses, transport operators, the Police and some individuals, from an European comparative point of view with recommendations. It is with a heavy heart, that a moderate religious person like me has to write this piece. As a Muslim, I will start with the nuisance caused by some mosques. 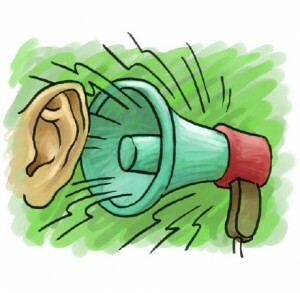 One will not be far from the truth by making a presumption that, the Prophet Muhammad (S.A.W Arabic phrase meaning Peace be unto him) would have sanctioned the use of public address systems (very loud speakers) in residential areas in the early hours of the morning, (S.A.W) if he were to be alive today. One or two incidents captured during the life time of the Prophet (S.A.W) could serve as resource to buttress this point. The Prophet (S.A.W) required that his followers eased their burden and avoid excess. Some companions wanted to end their sexual life, pray all night long, or fast continuously (such as Uthman ibn Mazun). The Prophet’s (S.A.W) answer was, “do not do that! Fast on some days and eat on others. Sleep part of the night, and stand in prayer another part. For your body has rights upon you, your eyes have a right upon you, your wife has a right upon you, your guest has a right upon you”. The Prophet (S.A.W) once exclaimed, repeating it three times: “Woe to those who exaggerate (who are too strict)” And on another occasion, he said: “Moderation, moderation! For only with moderation will you succeed”. In another instance, the Prophet (S.A.W) once told his companions this story: “A man was walking on a road in scorching heat; he saw a well and went down into it to quench his thirst. When he climbed up again, he saw a dog panting with thirst and he said to himself: ‘This dog is as thirsty as I am’. He went down into the well again, filled his shoe with water, and climbed up, holding the shoe between his teeth. He gave it to the dog to drink, and God rewarded him for this and forgave his sins”. The Prophet (S.A.W) was then asked: “O Prophet (S.A.W), do we get a reward for being good to animals?” The Prophet (S.A.W) answered: “Any good done to a living creature gets a reward”. An inference can be drawn from the above that, the Prophet (S.A.W) would have sanctioned the use of very loud speakers in the early hours of the morning for the call to prayers. For the Prophet (S.A.W) would have it in mind that, babies, the elderly and the sick would be greatly disturbed. I am not able to quote extensively from the Holy Bible and other Christian Commentary Books to support my argument that Jesus Christ would have sanctioned the use of public address systems in residential areas, as is being done in Ghana by some churches to propagate the gospel. However, from the teachings of pastor Mensa Otabil, of the International Central Gospel Church fame, one can say categorically that, Christ would not have allowed the use of loud speakers in residential areas for all-night services or services that finishes late at night. In Luke 19:1-10, when Jesus entered and passed through Jericho, and Zacchaeus climbed onto a sycamore-fig tree in his desperation to see Christ, since Jesus was coming that way; Jesus upon seeing Zacchaeus up on the tree, asked him to come down, and accepted him (Zacchaeus) warmly. Zacchaeus, who was then seen as a sinner, because of his status as a chief tax collector and his swindling of his business associates, found love and respect from no other person but the Prophet Jesus. As Pastor Mensa Otabil said, when we come to Jesus, we all sit on the same pew; no lawyers, no engineers, no doctors and what have you. Several instances abound in the Bible, where Jesus healed the sick, helped and cared for the poor and took the needs and concerns of the poor into account in his actions. Common sense would as a matter of fact inform that, Jesus Christ would not have permitted the use of very loud speakers in residential areas at night to spread the Christian faith, considering the fact that, there would be babies, the elderly, the sick and the physically challenged, who would want a quite environment to sleep. In Europe, particularly the United Kingdom (UK), Ghana’s colonial masters who to a large extent, brought Christianity to Ghana, forbid the use of very loud speakers by all religions in residential areas at all times of the day. 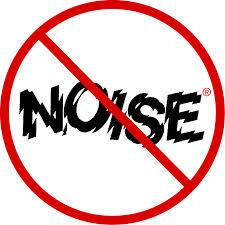 The British taught us the Christian faith, but found it expedient to ban the use of loud speakers in residential areas. What is Ghana waiting for? One can live next door to a mosque or church in the UK, but would never hear the Muslim call to prayers, or loud music booming from a church which in most instances could be mistaken as emanating from a live show being staged by a reggae superstar. Every mosque in the UK has a timetable, which is available for worshippers to take away and make their way to the mosque at the appropriate prayer time. Why can’t we adopt a similar approach in Ghana? 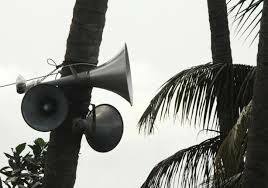 Almost every business venture or undertaking in Ghana has the mistaken belief that, it is only through transmitting message via very loud speakers that the message can be sent across, as if all Ghanaians are hard-hearing. One just have to take a walk in any part of Ghana other than the Flagstaff House, and a confirmation of this ‘jungle method’ of doing business would be seen from all manner of dilapidated structures paraded as drinking spots or restaurants; adverts for Chinese made mobile phones; G.P.R.T.U stations and sub-stations turning every private bus station (trotro station) into some kind of a “war zone”; traditional medicine marketing agents driving around with loud speakers selling products with dubious medicinal contents; and finally the Ghana Police, who to a very high degree, do not have an idea of what constitutes good policing work, driving around residential areas in the middle of the night with sirens at full blast with the misplaced notion that, they are on patrol to apprehend criminals. What a fallacy!! Even my illiterate mum would know that, to apprehend a criminal requires dead silence on the part of the police authority! The Police in the UK switch off their sirens in residential areas between 2330 hours and 0730 hours and leave only the flashing blue lights on. The activities of the Ghana Police would form the subject matter of my next article. Even though every Ghanaian claims to be a Christian, Muslim or Traditionalist, most of us do not have the fear of God in us. For example, we have had Christians and Muslims at the helm of affairs of every Government in this country since independence, but a few governments have actually pursued policies and programmes geared towards making living in Ghana a little comfortable for the ordinary man on the ‘Clapham Bus’, or ‘the Circle Bus’. For example, in the UK, the Deputy Prime Minister, Nick Clegg, is an atheist. Simply put, he does not believe in the existence of God, but is well known for his liberal thinking that has shaped the social policies of the current UK coalition government. He has succeeded in getting the Personal Tax Allowance increased to £9,440. This is to enable the lowly paid in the UK end up with a better take home pay. This has been championed by a man who claims not to believe in God! Some head pastors of charismatic churches in Ghana, who openly insult their members as under-achievers or non-achievers are worth less than Nick Clegg, who claims not to believe in God, but have the interest of the less well-off in Britain at heart. What has our current leader in Ghana who is a Christian, done to alleviate the poverty of the down-trodden? Common condoms that are distributed freely in other parts of the world to help prevent the spread of sexually transmitted diseases (STDs) are being taxed in Ghana! What an immoral tax!! 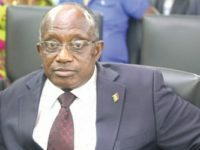 It is an opportunity up for grasps for whoever is the President of Ghana to come up with policies geared towards improving the living standards of the poor and implementing policies that addresses the concerns of the ordinary man on the street, thus, the man on the ‘Clapham Bus’, and not those with a Dollar denominated account. It is high time Parliament eschewed the useless political divisions and came up with a law banning the use of public address systems or loud speakers by all religions, businesses and transport operators in Ghana at all times of the day. Ghanaians are not deaf!! If a religious doctrine is seen as the best form of worship by an individual, such an individual will opt for that religious doctrine without the use of a deafening public address system. Similarly, if a product or service is very good, such a product or service does not require a very loud public address system to boom out its nonexistent qualities. There is no requirement to waste resources on research in Ghana with regards to some of these important policies. We just have to “copy from countries where such policies have succeeded, fashion such a policy out, and paste it in Ghana”. However, unfortunately, our leaders lack the vision and courage to come up with these types of pragmatic policies for the benefit of us commoners who don’t matter unless it is elections time, when our votes are needed to enable them continue to look after the welfare of their cronies, friends and family. 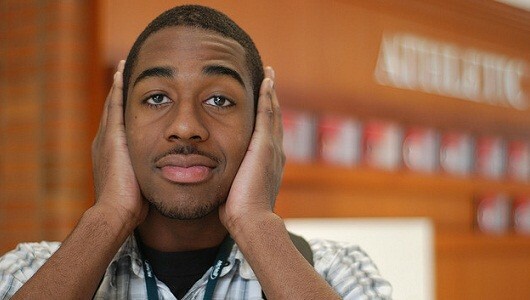 NOISE CAUSES STRESS: Stress Alters Childrens’ Genomes – When will Ghana stop its obsession with NOISE ??????? ?